A few months ago I was driving home late one night from a meeting. It was foggy and late. Really foggy and really late (which isn't a great combination). I could only see about 10 feet in front of my car as I drove towards home. Besides being slightly afraid I would hit something with my car, I was struck by the profound metaphor this was for how I feel in life right now. I can see about 10 feet in front of me and that's about it. 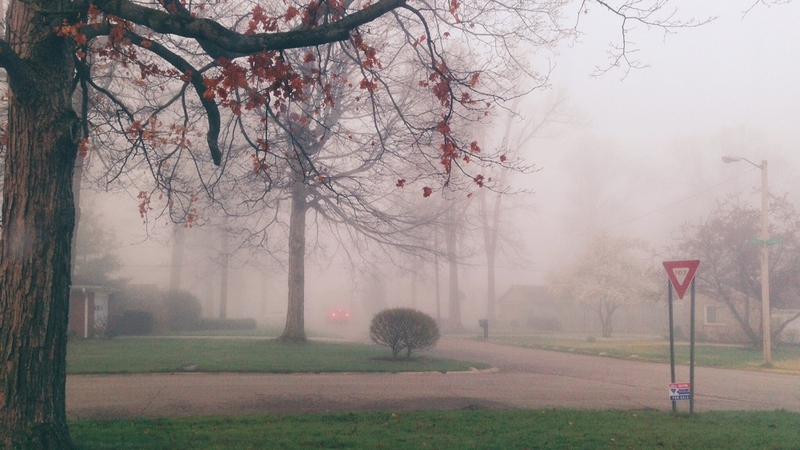 Whether its with my three children or our hopes and dreams for a new church in downtown Muncie, it all seems a bit like driving through the fog. I don't know where my children will end up, I can't see that far in advance. I don't know all the details of how we will start a new Church in downtown Muncie. I don't know all the details about what it will look like to intentionally pursue being a multicultural Church. I simply don't know. I can't see that far ahead clearly. 1. I can stop. I can find an easier path. A path that seems more direct. One with less fog. Or simply stop moving forward until the fog passes. 2. I can stress out. I can rack my brain and look at every detail and try and find the hidden meaning and sign of every inch of my journey. I can work and toil to know not only the end but the specific path that God has called me to, forcing the fog to clear out. So, rather than wear myself out trying to find the details I need to see the big picture. Seeking first God's kingdom and his righteousness. What has God clearly revealed in the Bible and how can I align each and every day of my life with those things and rest in his sufficient control of the universe? God has revealed enough in the Bible for me to drive another 10 feet. Whether that is in my own personal life decisions, my parenting decisions, or our decision to move forward with starting a new missional and multicultural reformed Church in downtown Muncie. And then you know what, when I get there I can see another 10 feet. So I will continue to move forward one day at a time loving Jesus, declaring the gospel, and trusting God with the results of my life and work. What's the fog in your life right now? Whatever it is, know that if God can care for the universe, he can care for you. Trust him. Because he is in control even over the thickest of fogs. And because he has demonstrated his faithfulness in the cross of Jesus Christ.